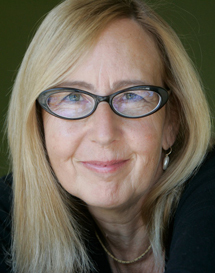 Michelle has an MFA from the Iowa Writers’ Workshop and teaches creative writing at UCLA. She is the author of four novels, three of which, Round Rock, Jamesland, and Blame, have been finalists for the L.A. Book Award. Blame was also a finalist for the National Book Critics Circle Award. Her awards include a GE Younger Writers Award, a Whiting Award for Fiction, and a James Beard Award for food journalism. For many years she supported herself as a food critic for The Los Angeles Times, the LA Weekly, and other publications. Mirabile Dictu: I love everything about your perfect novel: the characters, the style, the detailed descriptions of the mountain setting. When the heroine, Cressida, moves into her parents’ cabin on the mountains to finish her dissertation, she not only abandons her dissertation but gets involved with the wrong man. So many of us identify with Cressida’s experience (especially reviewers at the Los Angeles Review of Books and Pop Matters, who loved your novel), or at least have had friends who procrastinated writing their dissertations and went wildly off course. What inspired you to write Cressida’s story? Michelle Huneven: Thank you, Kat, for saying such kind things about Off Course, and for conducting this interview. In my own life, I had a hard time in my late twenties. That age can be so perilous. It’s the time when we’re done with school and we’re released into the world at large and must make our way. If there is unfinished business, or you haven’t been given certain tools, or there are destructive family patterns, this is when they can start to surface and wreak havoc in a young life. It’s also the time when certain decisions start to crop up concerning marriage, children and career The late twenties are also the years when you start building your resume, line by line: So–do you take the ill-paid internship consistent with your professional path, or do you wait tables and make enough so you can live on your own without a roommate and afford to buy the occasional book? In Off Course, I wanted to write a novel about a woman who took a misstep and ended up in a place where family dysfunction and her own immaturity came home to roost. I wanted it to be the book that I should have read back in my own twenties, when I got myself into a situation I couldn’t see my way out of, when my psychological problems were acted out rather than addressed. I don’t think reading Off Course or a book like it could have changed me overnight, but it might have made me less lonely, and given me additional ways to understand my predicament. Michelle Huneven: Many short novels are beloved and respected: The Great Gatsby, My Antonia, Pnin, Housekeeping, etc. That said, I think I know what you mean. I have lost patience for what I call “mid-novel sag”–a lull in the tension during which the writer slowly sets her ducks in a row for the ending. (I’ve been guilty of this myself, which perhaps is why I’m so sensitive to it.) Nobody wants to get deep into a novel only to find themselves in the doldrums… I love being immersed in a novel, but my attention span isn’t what it used to be. (Whose is?) The challenge, clearly, is to keep a novel taut and lively throughout without sacrificing depth and meaning and characterization. Mirabile Dictu: In Off Course, Cressida encounters a half-tame bear who leaves paw marks on the cabin windows. In your earlier novel, Jamesland, the heroine encounters a deer in her dining room. Obviously you’re fascinated by wild animals. Do you use them as symbols? 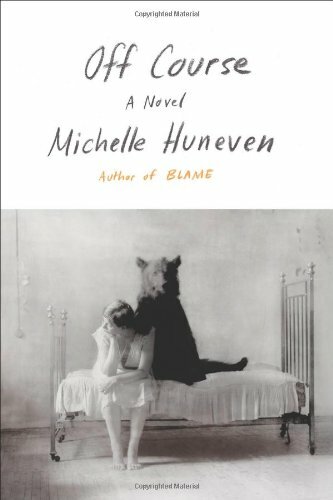 Michelle Huneven: Rather than symbols I prefer to think of the animals in my books as resonances—there’s something ancient there that twangs between fear and attraction, but we can’t quite pin it down. In Jamesland, the deer serves as a kind of spiritual “figurehead,” for lack of a better word. As you say, a young woman wakes up to find a deer in her house. She chases it outside and in the morning, she can’t quite tell if the whole episode was a dream or not; at any rate, she is sufficiently disturbed by the deer to discuss it with a minister. The minister suggests that the young woman explore “what deer mean to you.” Over the course of the novel, the young woman looks at deer from many different perspectives, and by the end, although she still can’t articulate “ what deer mean to her,” her entire life has changed. In Off Course, the bear appears in various forms, too: as bearish men, as a rug, as food. The reader can make of him what he or she wants. I suppose I saw the bear variously as a shadow or other, a creature of deep appetites, indifferent to civilized customs. I’ve always loved that Delmore Schwartz poem, “The Heavy Bear That Goes With Me” and thought of it often when writing Off Course. Mirabile Dictu: Did any writer(s) influence you in your writing of Off Course? Michelle Huneven: Yes. I was constantly checking with various writers to see how they obtained certain effects, among them Charlotte Bronte, Mona Simpson, John Muir, Alice Munro, Tolstoy. Mirabile Dictu: What are you reading now and who are your favorite writers? Presently, I am listening to Jane Eyre—which means that as I drive or walk or garden or do dishes or fold laundry, I have my earbuds in place. It’s heaven! I just finished listening to Juliet Stevenson read Mansfield Park, and before that, Persuasion. (I have listened to Persuasion 3 or 4 times now. And this is a second time through hearing Jane Eyre read by Amanda Root.) As for reading—i.e. holding a book—I’m presently doing a second pass through A Glass of Blessings by Barbara Pym. Recently, I read and admired Molly Antopol’s collection of short stories, The Un-Americans. And, like thousands of others, I loved all three books in Elena Ferrante’s (presumably) autobiographical project: My Brilliant Friend, The Story of a New Name, and Those Who Leave and Those Who Stay. Mirabile Dictu: Thank you so much for the splendid interview, Michelle! This entry was tagged Interview with Michelle Huneven, Off Course. Bookmark the permalink. This is an excellent interview. I especially liked the part about listening to novels as I’ve found audio to be a very enjoyable way to appreciate novels. She also likes Elena Ferrante who as you know is one of my favorites. Tony, I am fascinated by the idea of listening to Jane Austen. I’ve read her books so often, but it would be an entirely different experience to listen to a dramatic reading by Juliet Stevenson. Am glad you enjoyed this fascinating interview with Michelle. I gained respect for her for telling us of the parallels between her own time of life in her twenties (where people have the hard task of beginning to place) and that of her characters. I too wish I had been given books when I was in my mid-teens that spoke openly and directly to me of my traumas; all I was given were reticent older classics. Consequently I felt so alone; I was the only person doing this shameful thing, feeling this fearful thought. Saving Ophelia is not a literary classic, but it might have changed my outlook and thus my life at a crucial juncture by showing me girls felt the way I did, experienced what I experienced. I’d love to listen to Ferrante’s books read aloud; I’ve read only the first of this trilogy. I agree that the twenties are a difficult time, and Michelle certainly articulates this subject brilliantly. I read a lot of Margaret Drabble in my 20s, and her heroines cheered me up, but they were so much more successful than I. Most of us after graduate school faced very low-paying jobs. Yes, Ferrante is wonderful! Wonderful interview .Kat with such high praise from you&getting to know the author through your questions can’t wait to read the book. Thanks! Michelle is a great writer. You’ll love the book. A very revealing interview – says much about the dilemma of what to do after college – low paid internship or paying work. Such a problem for so many young people these days. I’m now going to look out for “mid novel sag” – something I’ve often noticed without really thinking about it. Isn’t she brilliant? She describes things so succinctly. “Mid novel sag” says what I’ve felt about even some of my FAVORITE long books. Looking for jobs is so difficult in one’s twenties, and it is true you can barely live off some of those internships and entry-level jobs. I loved Blame and now must read this one. And huzzah to Michelle for mentioning Pym! Yes, we’re all Pymites here!